If the league, hypothetically, gives the exception for Williams to wear pink the rest of the year, everyone would be happy. But what if another player makes the same request? The league would have to oblige. What if a player makes a request but for a different cause? Brandon Marshall is an advocate for mental health awareness but he was fined for it. What if the league said no if Marshall asked in advanced? That would make the NFL look like a league that has no care about mental health issues. And what if someone wants to pay a military tribute on September? Is that OK? If one cause is important to someone, then someone else must have a passion for another cause. The one exception would put the league in a situation where they have to allow Marshall to wear green for his cause. 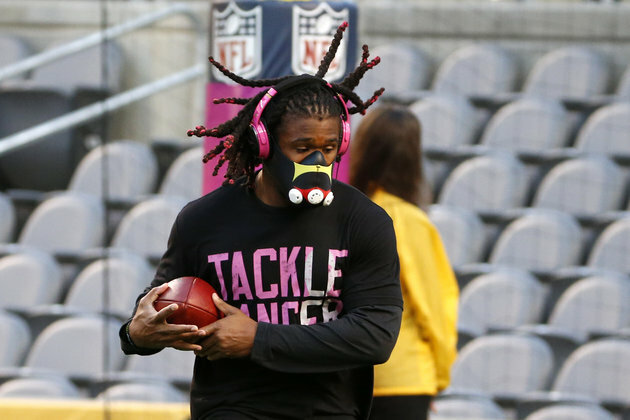 Somebody might approach the NFL about wearing different colors for the different kind of cancer diseases. Bladder cancer is marigold; brain cancer is grey; cervical cancer is teal; etc. The NFL has to decide if they can allow any or all of it. What if a player proposes something dear to him that isn’t cancer related? Does the league automatically decline that request? And if the league starts obliging, how many athletes will make up a story just so they can wear a different color for their own pleasure? There is a reason why the league doesn’t want this freedom of wearing different things outside the uniform for certain periods. One “yes” would put the pressure on them to start accepting requests left and right. Soon enough, the field will be littered with too many colors and the league will have a PR nightmare on their hands. This isn’t to defend the league in their decision to decline Williams’ request. This isn’t saying that the league has to accommodate every request. But the players have a big platform and they want to use it for good. (Some might also see a great opportunity to abuse it as well.) The league understands that platform but know that if they oblige, then the Pandora’s Box is opened. There is no perfect solution. Whatever decision is made, the NFL will look like the bad guy. They’ve decided to take the option that is less complicated. This entry was posted in NFL and tagged Cam Heyward, DeAngelo Williams. Bookmark the permalink.